Something very amazing is happening in music and it's unfolding in open-air theaters and unusual places right now... Ryan Spaulding of Ryan's Smashing Life and Adam Duritz of Counting Crows plotted a way to bring amazing emerging acts (on the verge of blowing up), out on the road and plug them in on a national tour. It was a way to broaden people's horizons and to restore people's faith in tours again. There are no throw-away acts or bands to skip on The Outlaw Roadshow. And that's the way we planned it. 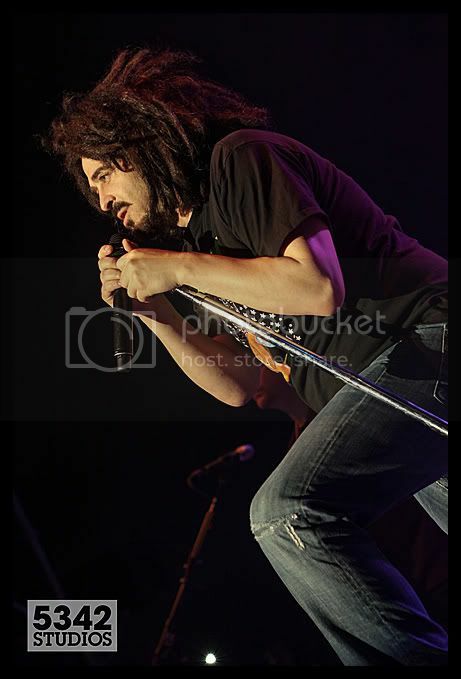 Counting Crows are proving once again they are one of the elite live acts in America today. Their interpretation and presentation of the songs on the new album (see the video) and the infusion of new talent on the tour appears to have rejuvenated a band that already had much to offered audiences in the live setting..